I am on the Woking exchange, I get around 6mbit (8mbit theoretical product) from the Post Office. Do you know if/when this exchange is being migrated to ADSL2+? Given its an ADSL only product that Post Office used to sell then no surprise to see you on an up to 8 Meg service at this time. Gives your personal estimate and for ADSL2+ is in the 13 to 16 Mbps range. So a switch of provider to one selling up to 16 or 20 Mbps services should give you a significant boost in speeds. As far as I know, White Label managed products are only 8Mb service whoever the ISP. Post Office been promising ADSL2+ speeds for well over a year, since announcing the TT hookup. White Label managed products are only 8Mb service whoever the ISP. Then explain how EE's White Label BB manages to be up to 24 Meg ADSL2+. Sorry. That was just reposting info given by those that know it all on here. I will crawl back under my rock! I thought Post Office were migratiing or something. Anyway I've signed up to EE's 38mbit service. They reckon 61.2mbit down, 14.5 mbit up (on the faster package). But I'm 600m from the exchange, so that seems a lot anyway. 18 months is a long time, so might have been correct for those two white label providers at that moment in time. 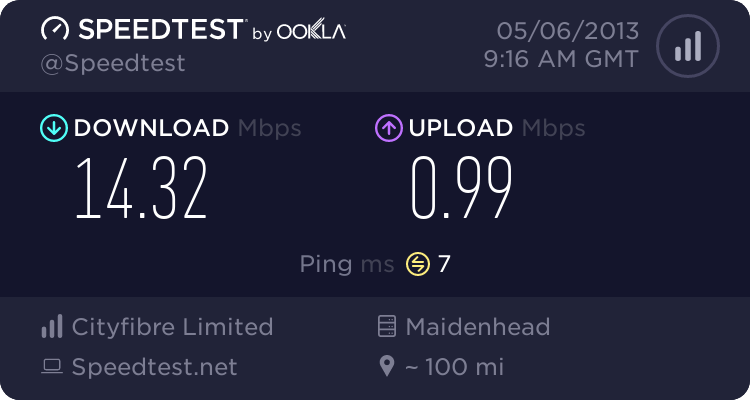 They are to use a TalkTalk wholesale service but mention of speeds for the service are missing from their website, so we have just assumed they are sticking to the old speeds. Once they tell someone they are opting to allow people faster speeds we will update our info.